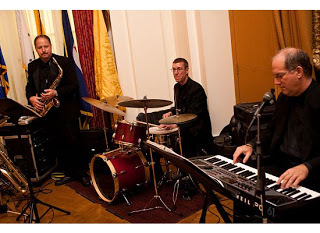 The Groove is a 4 piece highly versatile party band that is an affordable option if you want live music at your party. We are accomplished at many styles of music from Rat Pack to contemporary hits. With three of the area's finest vocalists, we sound like a much larger band. Yet we can turn on a dime, being able to adjust to any situation in a split second, unlike larger groups and orchestras. The Groove is also available with an added Guitarist for a 5 piece group that can fit any occasion!